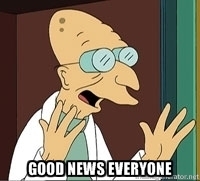 I have some fantastic news that has me super excited. My story Short Circuit (published in Oomph: A Little Super Goes A Long Way) has been announced as a finalist in the ‘Best Fantasy Short Fiction’ category in the Aurealis Awards. The Aurealis Awards are Australia’s premiere speculative fiction awards so this is a huge honor and I’m stoked to be in the company of so many authors I admire.